Professor, Graduate School of Economics (EPGE), Special Aide to the President and Director, International Intelligence Unit (IIU/NPII), all at FGV, Rio de Janeiro. Renato Flôres has an extensive academic career, in Brazilian and European institutions, with a large experience in teaching, research and consulting. His interests encompass development economics/sustainable growth, trade and the analytics of risk. He has contributions on Regional Integration in general, especially the European and Latin American experiences, having been one of the editors of the Regional Integration Manual (London: Routledge, 2011). He also works on the links amongst International Law, Politics and Economics, within the context of globalisation, and holds more than curiosity in the economics of culture, being part of the experts group on the measurement and analysis of aspects related to the Convention on Cultural Diversity, at UNESCO, Paris. He is at present studying consumption patterns of the (world) emerging middle-class, for the design and branding of quality goods affordable to them. A former (elected) member of the Permanent Group of Experts of the Committee on Subsidies and Countervailing Measures, at the WTO, Geneva, he also acted as negotiator for the Fourth Protocol of the Agreement on Telecommunications, after the Uruguay Round, and still serves in trade delegations involving Brazil. He is also a member of the Brazilian Delegation in the BRICS Academic Forum. He is, or has served at the board of international institutions, as well as private businesses. He sits at the enlarged council of a well-known international bank, and nowadays at those of the Brazilian branch of the Konrad Adenauer Stiftung, Germany; CEBRI – Centro Brasileiro de Relações Internacionais, Rio; EUBRASIL, Brussels, a group to foster business relations between the EU and Brazil, and the International Forum for Clean Energy, an initiative established in Macao, China. He is a member of the IISS – International Institute of Strategic Studies, London, UK. 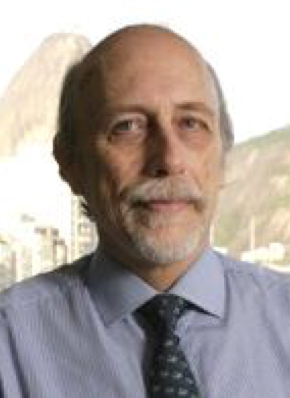 Professor Flôres is a consultant to international organisations, the Canadian, Swiss, Indonesian and Japanese governments, private multinationals and large Brazilian companies and financial institutions. He was awarded the Research in Brussels Prize, by the Government of the Région Bruxelloise/Brussels Gebied, the Special Chair from the Provincie van Antwerpen, Antwerp, Belgium, at the Instituut voor Ontwikkelingsbeleid en Beheer, Universiteit Antwerpen, for his work on developing and emerging countries and the Gold Medal - Friend of Canada decoration, by His Excellency the Right Honourable Governor General/Gouverneur Général David Johnston.